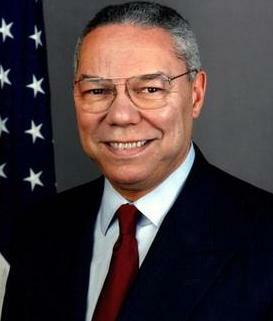 Republican General Colin Powell appeared on NBC’s Meet the Press on Sunday and officially endorsed Democratic candidate Barack Obama. Barack Obama, who is the Democratic presidential candidate, was given a huge boost yesterday after former Secretary of State Colin Powell backed him. The former four star general, who is a Republican himself, revealed he was voting for Democrat Obama because of his “ability to inspire”. His endorsement has massive symbolic importance. The former high-ranking member of George Bush’s Cabinet was once tipped to be America’s first black president. Powell, 71, blasted Republican presidential candidate John McCain’s “inappropriate” tactic of trying to link Obama to terrorists. And he said he was unimpressed with his handling of the economic crisis. He added McCain’s running mate Sarah Palin was not ready for the White House. Another report suggested that McCain’s appointment of unqualified Sarah Palin as his running mate showed bad judgment and that’s one of the big reasons why Powell chose to endorse his opponent. Meanwhile Obama phoned his new fan to thank him. He is holding on to his lead, according to the latest polls. Fifty per cent of voters now back him, against 42 per cent supporting McCain.